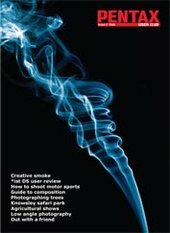 Creative smoke technique - used to shoot cover. How to shoot motor sports. Digital imaging techniques to improve tree pics. Low angle photography using digital or film cameras. Go out with a friend and share ideas.